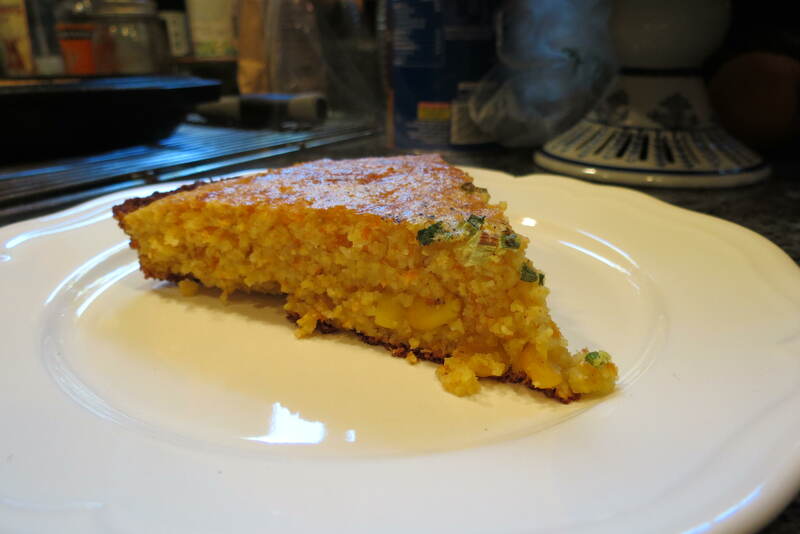 bring frozen corn, the water, butter and s/p to taste to a simmer, until corn is warm throughout. 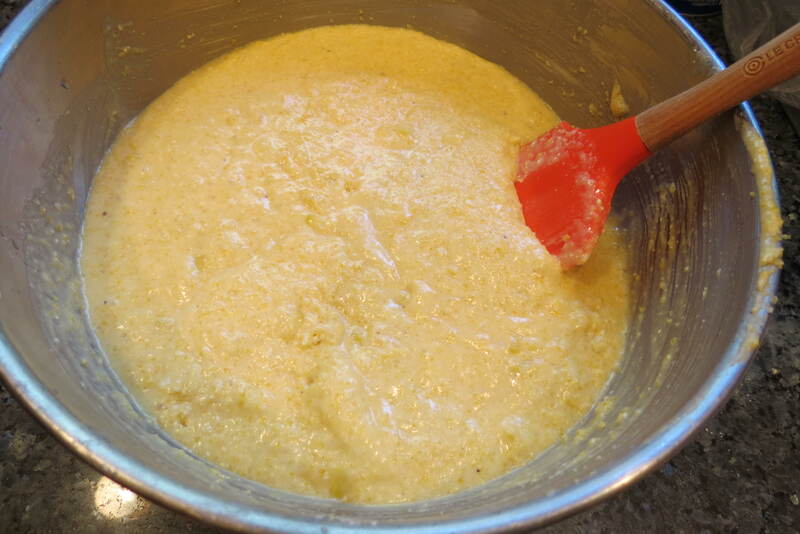 in a small saucepan whisk the flour & cream together, boil over medium heat, uncovered, stirring constantly, 1 minute. 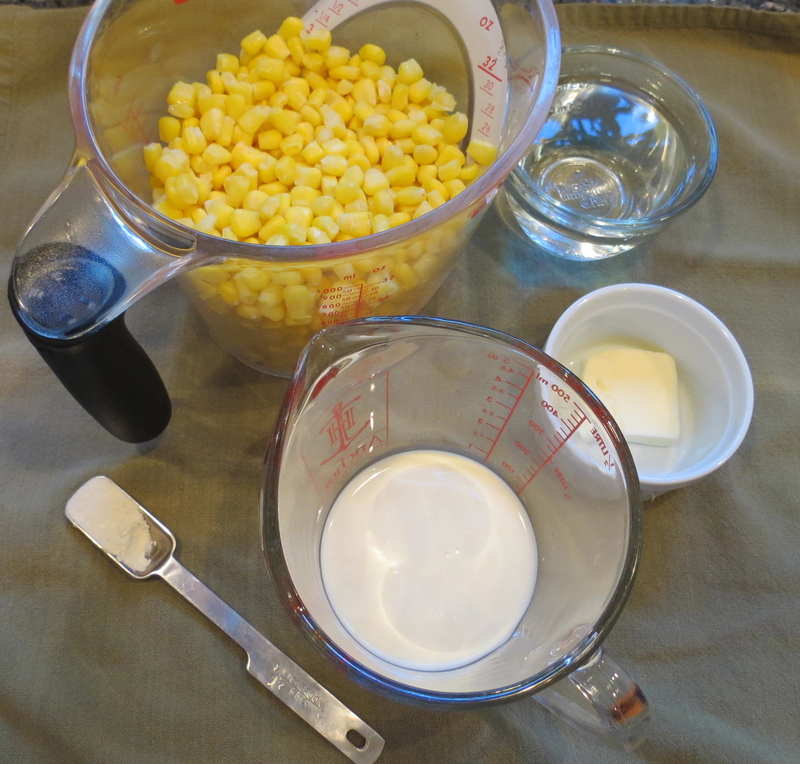 Carefully transfer cream mixture to 2/3 C of the corn w/ some of the cooking liquid to a blender and puree or use a hand mixer. Stir puree into corn and simmer 5 minutes. Preheat oven to 425 degrees. 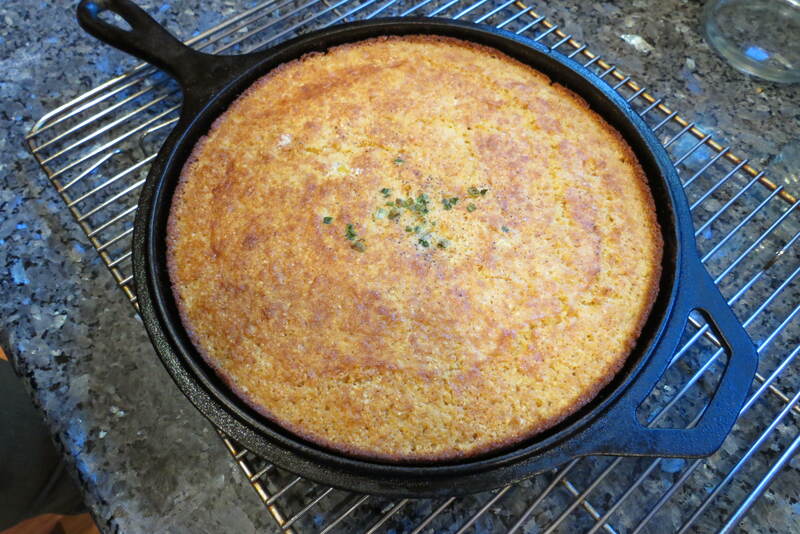 Turn the cast iron pan on low and butter with 1 tablespoon of butter. 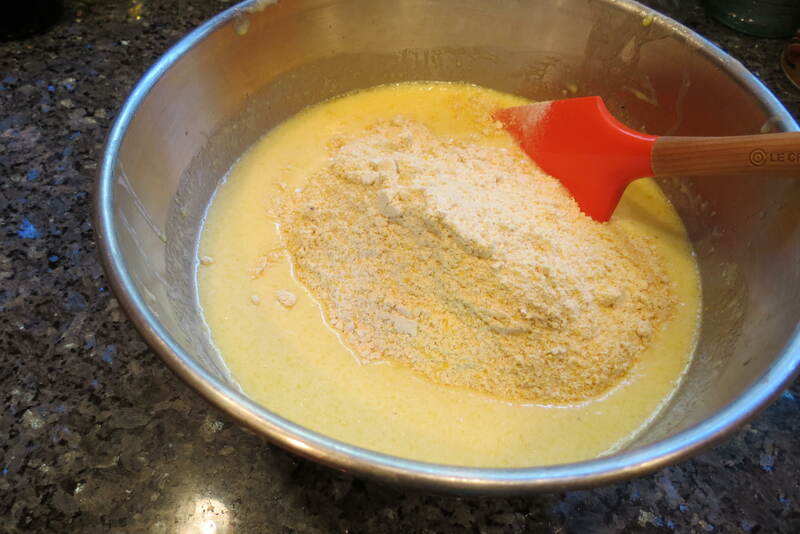 In a medium bowl, whisk together cornmeal, flour, sugar, baking soda, and salt; set aside. 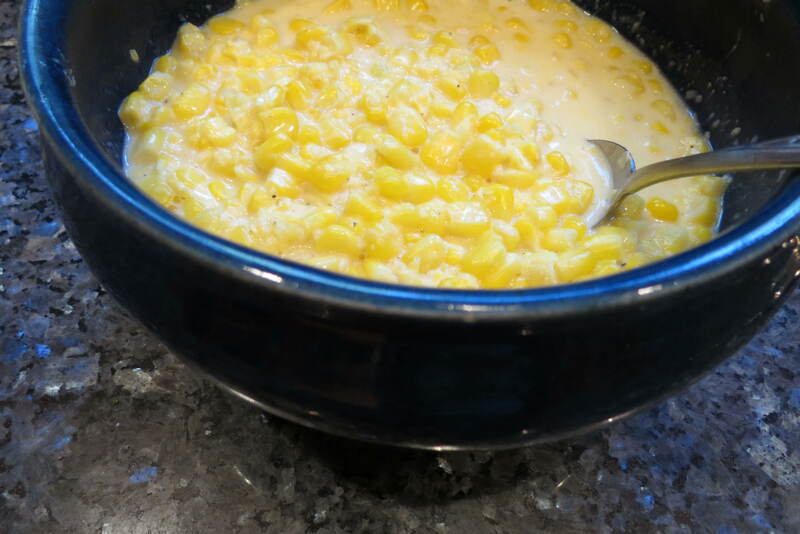 In a large bowl, whisk together eggs, buttermilk, & creamed corn; whisk in 6 TBSP melted butter. Right before you pour mixture into prepared pan, turn up the heat on the cast iron to med-high. Pour 1/2 the batter into prepared skillet, once you see the perimeter bubble and start to pull from the side, carefully put the skillet in the oven w/ a pot holder. bake until golden and a toothpick inserted in center comes out clean, 12-16 minutes. Let cool in skillet a few minutes before inverting and slicing. than butter. and that’s why you should make it. yourself. creamy. grassy. raw. cultured butter. it’s soft. it’s good on everything. once you learn the basics you will want to play with the recipe, add a little more salt. a little less salt. pick a different yogurt to culture it with, add some herbs, whatever you choose. butter makes it better. 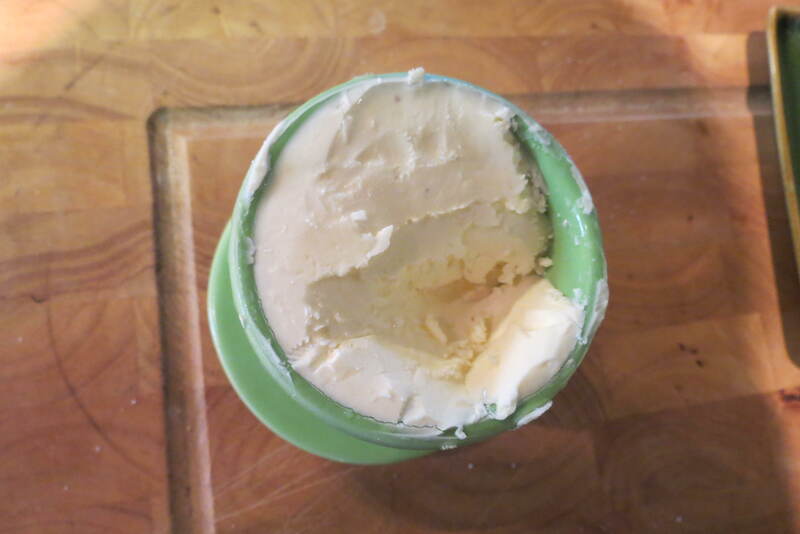 to make the butter you simply add the cream to a good size bowl with high walls, whisk it a bit. secondly, add the yogurt to the cream w/ the salt and again whisk a bit. let sit in a warm area for 8 hours or over night to culture. post culturing, put the ingredients in a mixer fitted w/ a paddle and start to beat the butter. once you have a lump of butter in a pool of buttermilk. shift the lump in a colander. save the buttermilk! (use for biscuits, pancakes, tea breads, or just drink and fall in love). flatten the butter lump and chill for 30 min. knead it under water in a bowl, removing the trapped pockets of buttermilk in the butter. it will sour the butter. let it dry out a bit. put it in a butter keeper or wrap it in parchment and refrigerate. voila! you have the uttermost delicious butter & buttermilk ready for countless adventures, you will never want to go back to store bought. being that my experience spans from over 9 years of san francisco life, a year abroad in Florence, Italia & a family culture rich in food memories, 3 years of cooking at an organic open kitchen market w/ a daily menu, thoughtful ingredients are at the forefront of my cuisine. Local Nevada County farms have an abundant array of fresh, organic, whole foods that are unparalleled to buying produce shipped in from Chile, Mexico & Argentina. Abundance is a key word here. I will make you whatever you desire, but please be willing to trust my eye, I canoodle every potato, smell each bunch of lemon thyme, size up each blessed little chicken & taste everything I possibly can before buying your ingredients. I enjoy planning menus at the farmer’s market, the fish market, the local butcher or simply your favorite market, letting these wondrous ingredients speak for themselves. Let’s go on an adventure together, I promise it will be fun.